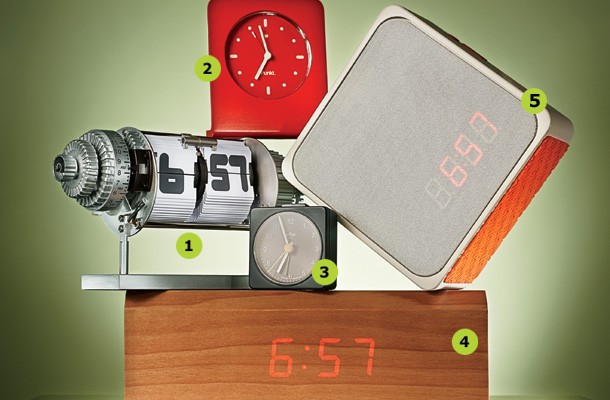 As smartphones take over the world, alarm clocks are fading into the well-rested past. We now wake up to ringtones rather than the clatter of a metal hammer; we search for the hard-to-find touch-screen snooze instead of swatting a simple clock-top button. Turn back time and add a bit of ease to your mornings with the alarm clocks of your dreams. A version of this article appeared in the November 2011 issue of Fast Company magazine.